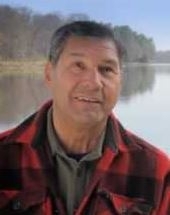 Traditionally, the Penobscot, Abenaki of the United States and the Abenaki of Canada people spoke an Algonkian language spoken within the Wabanaki Confederacy of tribes. Their language contained complex verbs and a fairly free word order. In time, the language began to fade and English was used. Several elders still speak some of the language and are working to revive its use. Together with the Mikmaq, Maliseet, Passamaquoddy, and Abenaki, they were once members of the Wabanaki Confederacy, enemies of the Iroquois. These various peoples were from the eastern seaboard region related languages, and "Abenaki" and "Wabanaki" have the same Algonquian root, meaning "people from the east." The Penobscot, Abenaki of the United States are not affiliated with the Abenakis in Canada, and distance themselves from the Abenaki of New England. Located in the state of Maine and across the Maine border into Canada, they were known as "Easterners" because of their proximity geographically among their other related tribal groups. Today, they predominantly reside in Old Town (Maine), which is just north of Milford and slightly northwest of the Sunkhaze Meadows National Wildlife Refuge. In the past thirty years, they have been able to buy back some of their ancestral lands, and today they are a sovereign nation working to maintain their traditions, language, and self-sufficiency. Their tradition describes Gluskabe as the creator of man and women. Legends which explained phenomena such as the wind and the growing of corn were passed down orally from generation to generation. With the arrival of the French colonists, some converted to Christianity. However, there are a wide range of religions practiced on Indian island of Penobscot and among the Abenaki in general. Pray for the few remaining Abenaki speakers as they seek to revive their mother tongue. Pray for boldness among the few evangelical Abenaki as they share their faith in both word and deed.